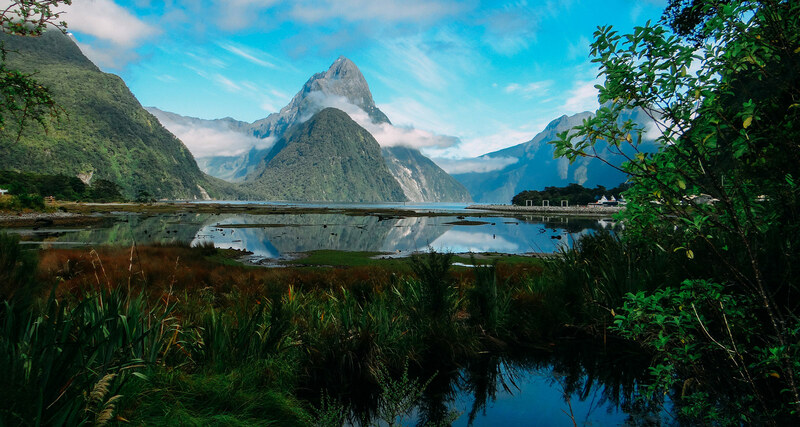 Learn all about the kea, New Zealand’s famously cheeky mountain parrot, and find out where to see them on a day trip to Milford Sound. The kea is a native New Zealand bird. It’s also known as the New Zealand mountain parrot – the only true alpine parrot in the world. The scientific name for kea is Nestor notabilis. Kea are currently an endangered species. What does a kea look like? The kea is a large parrot with mainly olive-green feathers, deepening to a teal blue on the wingtips. On the underside of the wings and the base of the tail the features are a reddish-orange. Female kea are slightly smaller than males and have shorter beaks. Many other native birds in New Zealand are flightless, including the kea’s relative the kakapo. Unlike them, kea can fly very well. 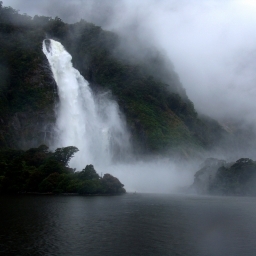 Their name in Maori is onomatopoeic, referring to their loud, high-pitched call of ‘keee-aaa’. This isn’t the only noise they make, though – they also talk more quietly to each other, and juveniles make all kinds of squeals and hollers. Kea live only in the South Island of New Zealand, most commonly in or near alpine areas, although they can sometimes be found in coastal regions. 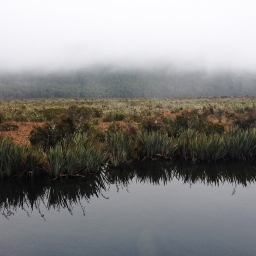 They are often seen at South Island ski-fields and mountain huts. They usually nest in native forest, laying their eggs on the ground or in crevices, but will travel to look for food. Kea mate for life and the male will look after the female and his new babies by bringing food back to the nest. Kea are omnivorous and eat a wide range of plant and animal food. Kea are very intelligent birds. They learn impressive foraging skills from their parents and other older birds, and become very skilled with their beaks and claws. As their environment has changed, kea have learned to adapt. Hunters, farmers and hikers all have stories of watching kea learn to get into doors and windows or undo their packs to steal food! 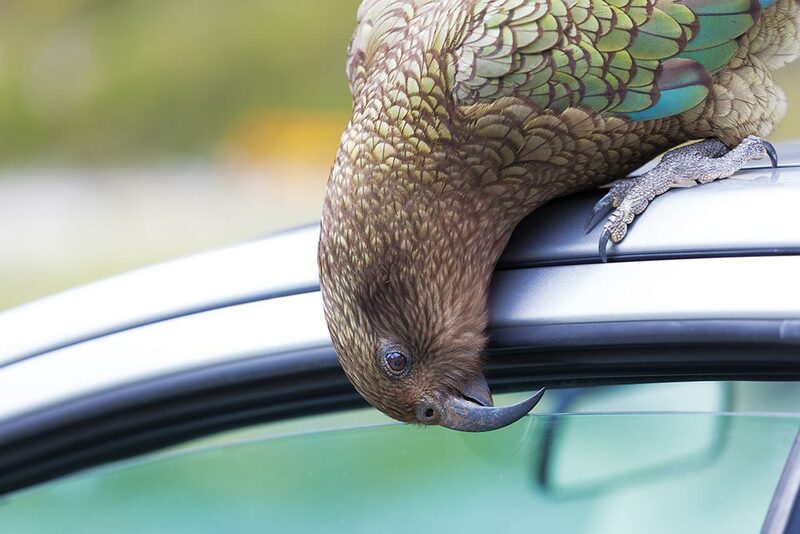 They’re also notorious for attacking cars if they get the chance – yanking on aerials and pecking at the rubber around car doors. Kea are famously curious and love to experience new things and solve puzzles. A recent study about kea intelligence showed how these clever birds can work in teams to achieve their goals. Young kea hang out in gangs until they start mating. They are also very playful – you can watch them playing with each other, and even playing practical jokes on humans. These fun-loving birds will swoop down to steal people’s belongings, or throw stones at them! They are very bold and will happily approach people, especially in places where they have learned they might get food. However, we should never feed kea. 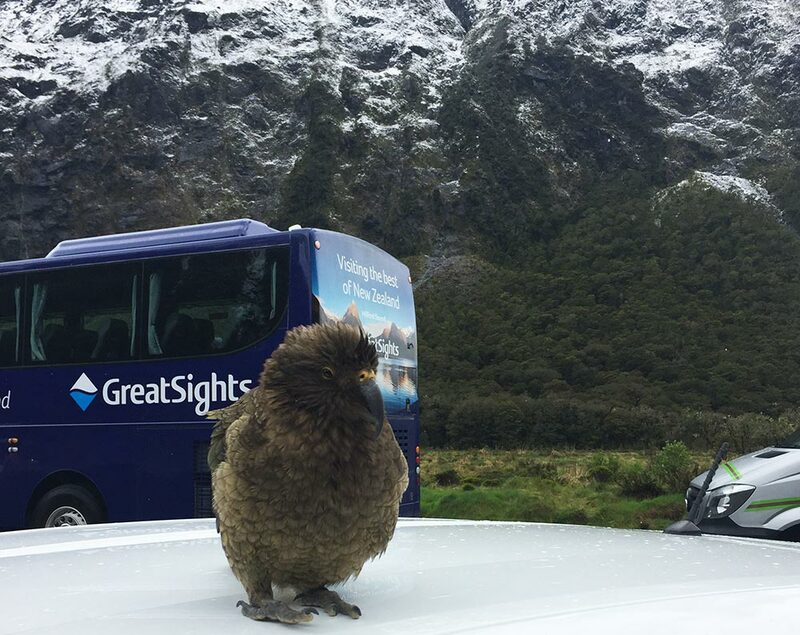 Some visitors think it might be funny to offer kea their food and take a photo. However, human food can be bad for birds and make them sick. If we feed young kea, they’ll be less likely to hunt for themselves and eat the right food. They can become dependent on human scraps. It also makes the kea more likely to spend time in human areas, which can lead to kea getting hurt (by people, cars, dogs etc) or causing damage to property. How many kea are there in New Zealand? It’s hard to tell exactly how many kea live in New Zealand, because they live in an area of around four million hectares. Much of this area has very rough terrain, so it’s hard to access. DOC estimates there are between 3,000 and 7,000 kea left in New Zealand. Kea are scavengers and have often been seen pecking at animal carcasses. Unfortunately some kea have also been spotted attacking live sheep. 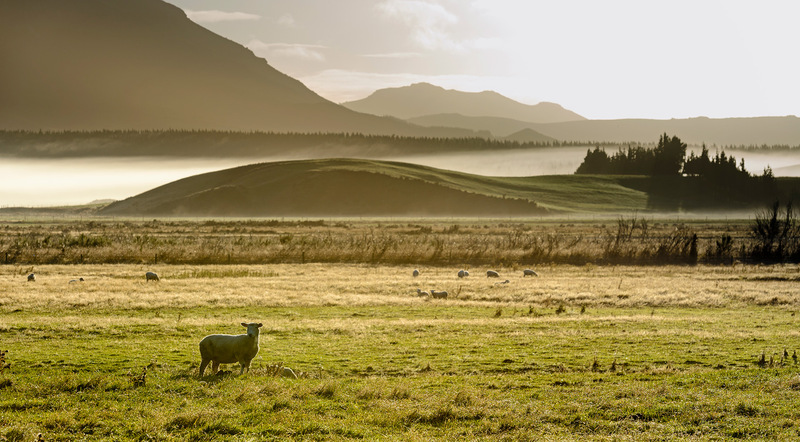 For this reason, early European settlers viewed them as a pest. For many years it was legal to hunt kea for a bounty, and between 1860 and 1970 humans killed at least 150,000. 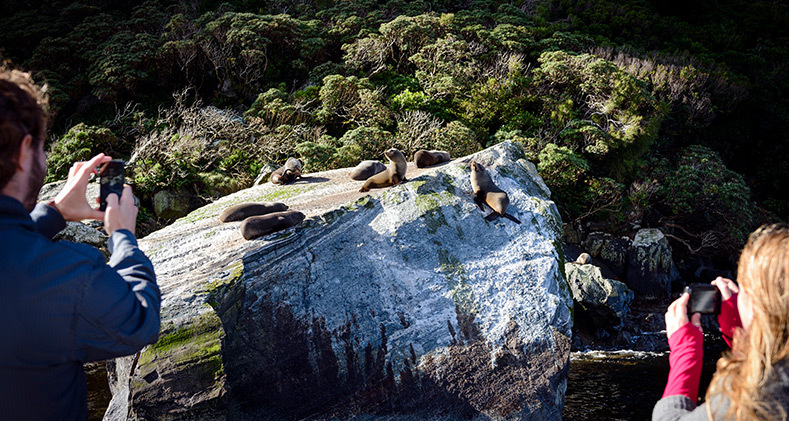 In 1971, bounty hunting was made illegal, and in 1986 kea became a protected species. However, kea still face many threats today. Predators like possums, cats, rats and stoats can attack them or their eggs and steal their food supply. Humans are also a threat to kea, especially as towns and cities grow and push further into their territory. 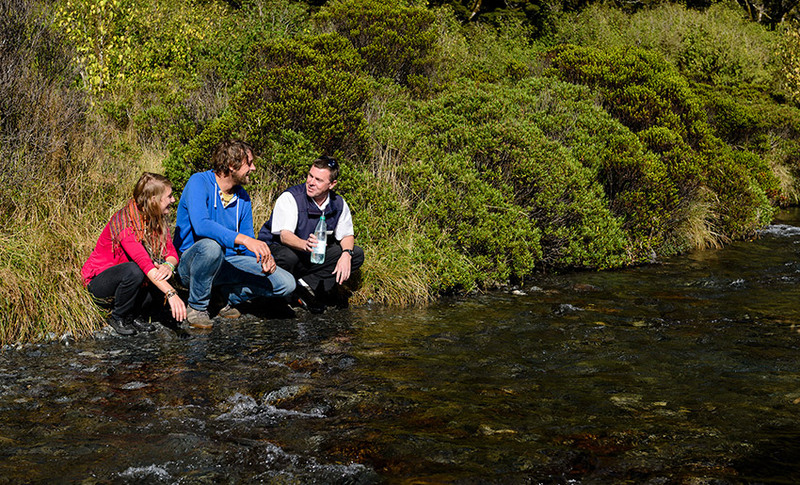 The best places to see kea on your way to Milford Sound are near Monkey Creek and around the Homer Tunnel. 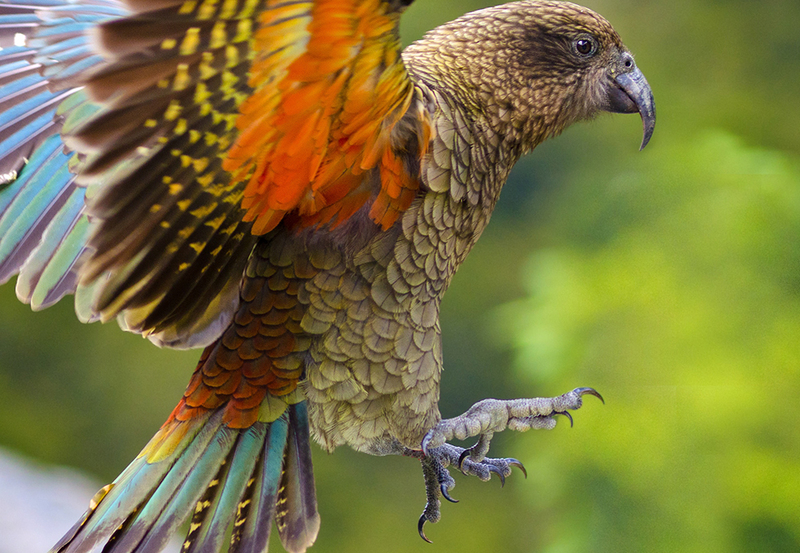 Just wondering if you gave permission for your “Kea in flight” photo to be used by anti 1080 oponents to slander DOC and make unfactural statements about Kea being endangered due to 1080 poisoning.